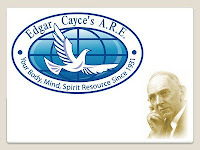 Edgar Cayce, the Edgar Cayce who was destined to become America's legendary mystic, began attending Sunday School classes around the age of ten. The lesson being taught on that first day was the story of creation from the book of Genesis. Edgar was mesmerized. He asked his father for a book with the entire story of creation in it, and soon received a gift of his own personal Bible. Edgar's life-long love of, and expertise in, the contents of the scriptures had commenced. Edgar quickly vowed to read the entire Bible at least once each year for the rest of his life, a promise he faithfully kept. But, at age ten he considered himself ten readings in arrears. Edgar was fourteen years old when he completed his fourteenth complete reading of the Bible. 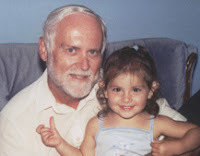 He was quickly regarded as the local Biblical expert and began teaching adult Bible classes while still a teenager. Edgar was fourteen when he experienced his first vision. One night, as Edgar was almost asleep, his room suddenly lit up like the sun peeking through a crack in a cloud-covered sky. Standing at the end of his bed he noticed the figure of a woman and in his semi-conscious state assumed it was his mother and called out to her. The light and the figure of the woman disappeared. Edgar hopped out of bed and went into his mothers room to see what she had wanted, and was advised that she had not been in his room and to go back to bed. Edgar was not snuggled back in bed for long when the bright light and the lady reappeared. Edgar assumed it was an angel, and never forgot the words that the lady-in-the-light said to him: "Thy prayers are heard. You will have your wish. Remain faithful. Be true to yourself. Help the sick, the afflicted." The next day in school, all Edgar could think about was the visit from the angel, and when he was called upon to spell the word 'cabin', he spit out an incorrect spelling. Edgar was sentenced to remain after school and write out the word cabin five hundred times on the blackboard. This was only the beginning of his problems! One of the volunteer teachers at the school that day was his uncle Lucian Cayce, and the tale of his spelling incompetence arrived home before he did. His father declared: "You will certainly know that lesson before you go to bed this night." Hours later after much studying and numerous swats from his increasingly irritated father, Edgar could hardly keep his eyes open but still could not remember the spelling lesson. Edgar begged his father for a five minute nap, and his frustrated father agreed, and left the room. Edgar had a plan. In his head he had heard "Rely on the Promise." and assumed it was a message from his angel. Edgar also recalled an incident that occurred when he was five, but did not understand at all at the time. Edgar had fallen-asleep back then with his head on a storybook, and upon awakening he was able to recite the entire story word for word. Edgar took his five-minute nap with his head resting on his speller. Smart move! When his father returned, Edgar could spell every word in the speller and could tell his father the page number and the location of the word on the page. After a few more good swats from his father, Edgar was sent to bed. From that day on, Edgar had no further problems learning his lessons. The next remarkable event in Edgar Cayce's most unusual life started at school one day at recess, not too long after the episode with the speller. The students were playing a ball game they called old sower. Edgar was hit by the ball along his spine or the back of his neck and remembered none of the events that took place from that point on until he awoke the next morning. It was reported that during the remainder of the school day, Edgar's behavior was totally out of character, his sister had to lead him home from school, and at the dinner table his behavior was so disruptive that he was sent to bed immediately. A little later, in bed, Edgar volunteered what could be considered as his first psychic reading. He gave instructions that a poultice should be made up and that it be applied to the back of his head near the base of his brain. The delirious Edgar advised those in the room that he was suffering from shock, and that he would be fine in the morning if the poultice was applied as instructed. The family, now well aware of Edgar's unexplainable talents, was wise enough to heed these instructions and the poultice was applied as directed. Edgar's night was far from restful, but he awoke the next morning perfectly normal, just somewhat bewildered to find his room crowded with concerned relatives and neighbors. In 1900, at the age of twenty-three, Edgar lost his voice, and for over a year could only speak in a whisper. The doctors called it aphonia, and the suspected cause was an unusual reaction to a drug he had been given for recurring migraine headaches. A hypnosis stage entertainer, in town for some performances, claimed that he could cure the ailment if Edgar would allow himself to be hypnotized. The experiment was attempted in front of a group of witnesses, and it worked fine, sort of. Edgar, while under hypnosis spoke normally, but after he was brought out of the trance, his voice was gone again. A second attempt brought an identical result. These hypnotic experiments with Edgar were covered by a reporter for the local newspaper, and news of Edgar’s rare ailment managed to make its way to a noted physician in New York. The physician, a Dr. Quackenboss, who had never personally witnessed Edgar's rare medical condition, made a trip to Hopkinsville, Kentucky, to see Edgar. He hypnotized Edgar, but could not cure the problem either. Dr. Quackenboss then questioned Edgar about the other unusual incidents that had occurred in his lifetime, and took special interest in the story about how Edgar learned his lessons by napping on his books. Careful study of his notes back in New York caused Dr. Quackenboss to suspect that Edgar was what the medical books referred to as a auto-hypnotist, and suggested, in a letter, that his annoying condition might be removed by putting himself to sleep as he did while studying, and to have someone make the suggestion: “You see yourself, tell us what is the trouble and what to do about it.” This experiment took place in the Cayce home in 1901, and was Edgar Cayce’s first psychic reading in his self-induced, self-hypnotic trance state, and it was a success. After being instructed to wake up, Edgar could once again speak normally. His mother wept, openly. Of course, no record of this first reading was made that day, but for the rest of Edgar Cayce’s life he would periodically lose his voice again and needed to go through a similar revitalizing process. 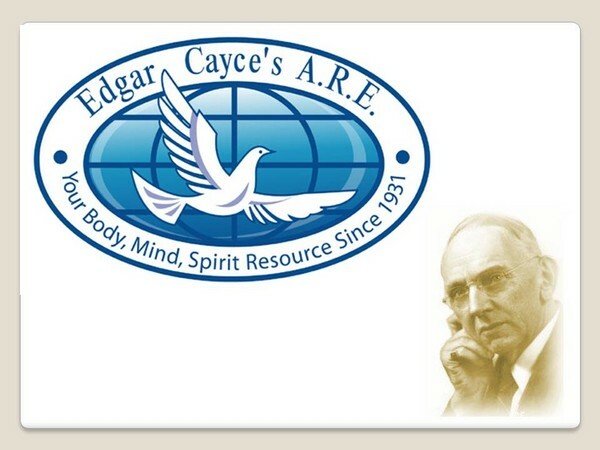 The first reading that was taken for Edgar Cayce himself that was also recorded and kept in the readings files was one such voice restoration process, nine years later. This psychic reading given by Edgar Cayce in Hopkinsville, Ky., this 1st day of December, 1910, in accordance with those in charge. 1. ACL [DS: He was Al Layne, a Hopkinsville hypnotist and unlicensed osteopath. ]: You are now asleep and will be able to tell us what we want to know. You have before you the body of Edgar Cayce; he is before you now. 3. (Q) Examine his throat and tell us what is the matter with it, if anything. (A) The muscles of the vocal cords here, you see, produce a partial paralysis to the vocal chord, especially to the left side of the vocal box. You see the chords here are taut from the box or sound here, as the air is expelled from the lungs and drove in and thrown out. We have a nervous effect of the nerves and muscles all over the whole body; we have a tightening or a sensation in the nerve force to contract it and of the muscles of the vocal chord or box here. We have caused, all along in the front part of the body along the larynx to the vocal chord, to the right end here in front, as this muscle is taut then the voice sounds as if it is loose here or not contracted by the nerve forces and muscles; together this leaves one side that does not sound and produces a whispering sound. This comes from the same trouble we have had before from the pelvis. 4. (Q) What will we do to remove that now? (A) Just circulation here will remove it; that is the only thing that will do it. From suggestion to the body forces the circulation through it here and as the circulation passes along it takes that away; puts new life to it; makes the supply to the nerve force go, you see. 5. (Q) Increase the circulation and watch that and see the condition removed; that congested condition. Increase the circulation; is that removing now? (A) Circulation is beginning to increase. 6. (Q) Watch it increase now; watch that remove. All that congested condition will be removed away by the circulation. Passing off now, is it not? (A) Passing off now. 7. (Q) Watch it move clear on; it will become normal, will be in its normal condition. Watch it now and when that becomes perfectly normal tell us. (A) Have to remove the trouble first. 8. (Q) What is the trouble now? You see the trouble is away. Now the trouble is gone. Now the vocal chords are perfectly normal, are they not? (A) They are perfectly normal now. Al Layne was most impressed with the results of their first reading together in 1901, not reading 294-2 above, and asked Edgar if he would do a reading to diagnose and remedy a stomach problem he had lived with for many years. A somewhat reluctant Edgar eventually agreed to return the favor to his new friend. There is no copy of this reading, but again it proved to be a success. A delighted Al Layne commenced a routine of requesting readings for some of his patients when their problems were not obvious to him. Word of Edgar’s successes quickly spread around Hopkinsville and other requests for medical readings followed. Edgar was understandably concerned that his readings could result in injury or death to someone, and was usually hesitant to comply with most requests. On the other hand, Edgar never forgot his first vision in his bedroom a decade earlier and could not turn down a request for a reading for anyone in dire need. Doug Simpson is a retired high school teacher who has turned his talents to writing. His first novel, a spiritual mystery titled Soul Awakening, was published in the United States in October of 2011, by Book Locker. Check it out at http://booklocker.com/books/5754.html . It is available in print and eBook format through most book stores around the world. His magazine and website articles have been published in 2010 to 2012 in Australia, Canada, France, India, South Africa, the United Kingdom, and the United States. His website is at http://dousimp.mnsi.net. This inspires me to read more about Edgar Cayce. I read about him when I was a teenager, so very long ago. I'm sure it would be easier to understand his story now that I have life experience to draw upon. Awesome! I love when a blog inspires someone to read! Or at least put something on their TBR list. Thanks for commenting Peggy!